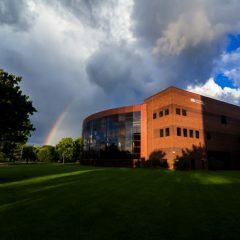 The University of Michigan-Flint School of Management’s part-time MBA program has been listed as one of the top Business Schools to obtain an MBA as a part-time student by U.S. News & World Report for 2018. U.S. News ranks schools based on an independent assessment of the quality of various graduate degree programs. The ranking system of U.S. News is extremely important to the School of Management and other business schools. It is an objective and respected third-party ranking system that students and businesses turn to. Main categories that receive scores are student assessment, average GMAT score and average GRE quantitative and verbal scores of part-time MBA students, average GPA, work experience of MBA students, and the percentage of part-time MBA students attending each institution. The School of Management scored highly in the category of enrolled students at 160 total. Business Programs Recruiter Craig Gomolka believes that the School of Management’s part-time MBA programs format and engagement draws a large group of interested students. “The NetPlus! hybrid format was built for the working professional. Its online format makes balancing a career, family, and an MBA feasible. The two weekend campus sessions provide each student the opportunity to learn, build relationships, and engage with our outstanding faculty and also their very diverse MBA classmates. 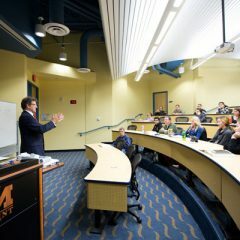 The flexibility afforded to our students helps each student achieve their goal of a University of Michigan MBA,” said Craig Gomolka. 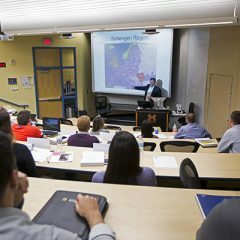 Along with the School of Management’s part-time MBA format, small class sizes are an attractive feature for part-time MBA students. 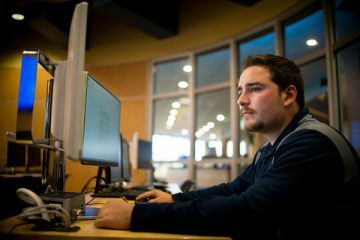 With classes of approximately 30 students per core course, and 15-20 students in elective courses, School of Management faculty give individualized focus to each graduate student.